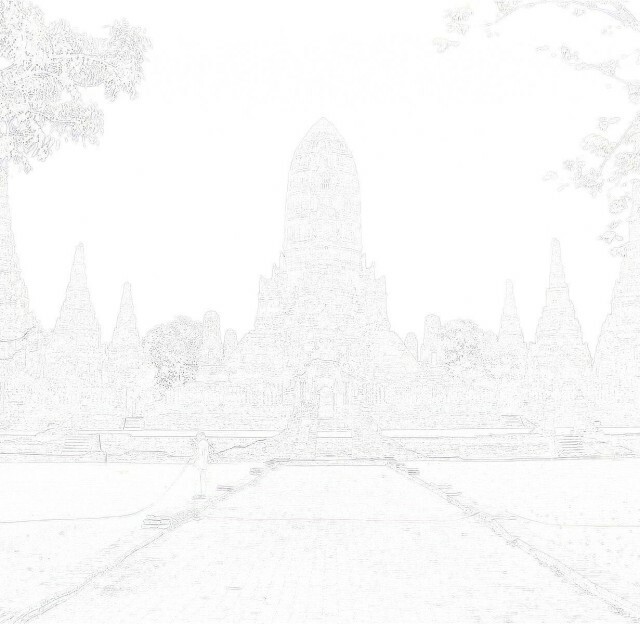 and just south of Wat Kasathrathirat. monastery, but it is situated on private property and could not yet be traced. Monastery] of the Corpses of Heaven and the Fort of Grand Victory." 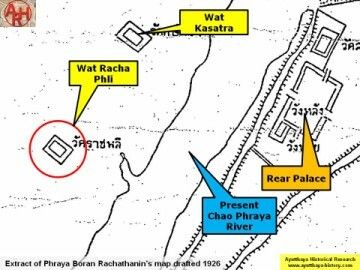 Boran Rachathanin's map of 1926. 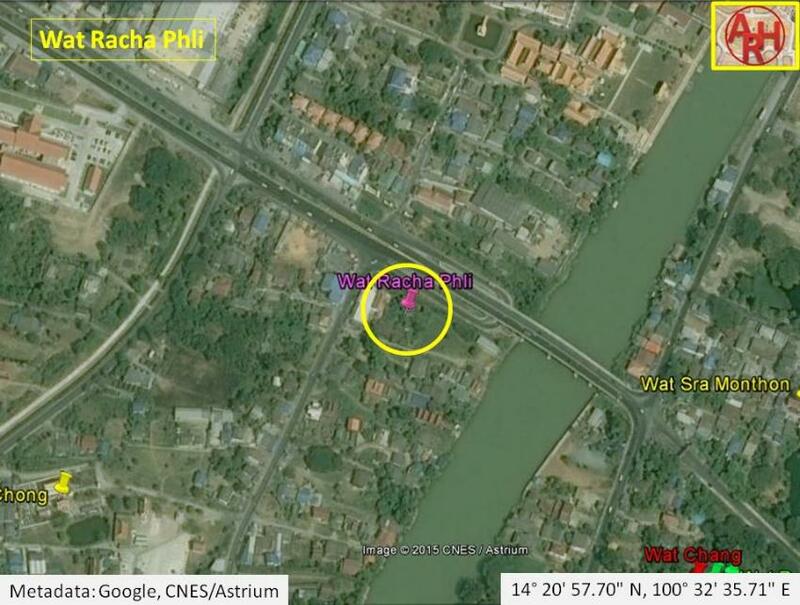 Geo Coord are: 14° 20' 57.70" N, 100° 32' 35.71"
to make place for new construction at the end of the 80's or in the 90's. 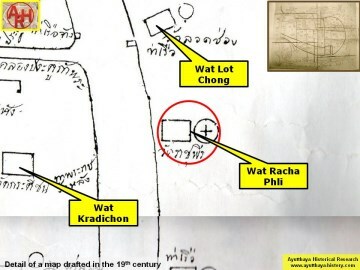 Wat Racha Phli was located in Geo. Coord. 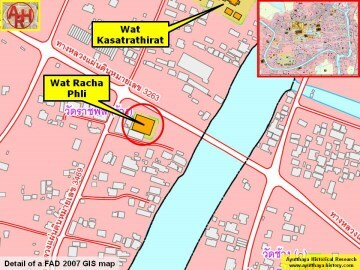 : 14° 20' 57.70" N, 100° 32' 35.71" E.